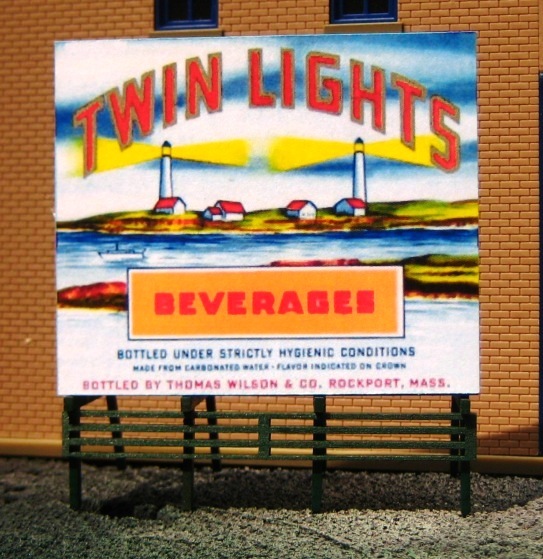 The Twin Lights billboard is suitable for HO, S or O Scales. Dimensions are approx. 3 3/8" x 2 7/8". 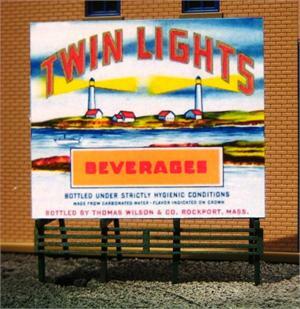 The billboard looks great on a roof top or on the roadside. It's simple to build. Paint or just age it. Either way, it looks great!